Rita Thiel is passionate about the environment! 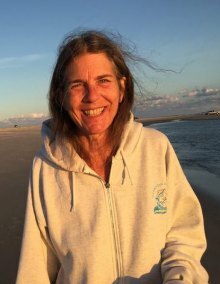 From her days as a middle school science teacher in her home state of Kentucky to her time spent as an elementary school teacher here on Ocracoke Island, environmental education has been her driving force. Now she is turning that passion in another direction: a campaign called “Go Strawless” which encourages restaurants not to offer plastic straws with beverages. Over lunch at Jason’s Restaurant, Rita explained that in the past people used paper straws. 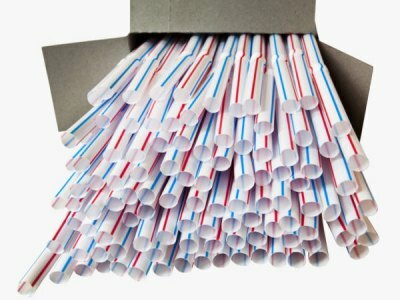 Then in the second half of the 20th century, the use of plastics became much more common, including the use of plastic straws. Eventually consumer concern over the growing use of plastics drove companies to create biodegradable products but there is no specified time frame on how long it takes the plastics to degrade. In addition, they break down into components that are often hazardous to the environment. Rita says that many people do not realize that plastic is a petroleum product. She would like to encourage consumers to be aware that our dependence on fossil fuels is not just gas and fuel oil, but also plastic, and to use caution and restraint when choosing plastic products. When possible, choose a renewable product. One only needs to Google “ocean garbage” to learn how much trash is floating in our oceans. According to the National Oceanic and and Atmospheric Association (NOAA), there are many floating patches of garbage (primarily plastics) throughout the oceans. As large as those floating islands of trash are, the majority of plastic is not floating on the surface but are small particles suspended in the water. These particles are made up of compounds such as bisphenol-A (BPA) and PS oligomer and are ingested by fish and other sea life. These types of chemicals are of particular concern because they can affect hormone levels and disrupt the reproductive systems of animals that consume them. The “Go Strawless” campaign is multi-faceted. The primary goal is to enlighten the consumer about the dangers of plastic use. Rita believes that the biggest obstacle to environmental awareness is complacency. People today have grown up using plastic products on a daily basis and they don’t understand the dangers or know that there are other options. One option is to choose compostable products rather than biodegradable. Compostable products are made from renewable sources (such as corn and bamboo) and break down into non-toxic components. People can also purchase reusable straws. One issue that Rita found when talking to restaurant owners about going strawless is one of economics. Most restaurants already have large supplies of plastic straws and replacing them with compostable products is expensive. She is researching ways to raise money to buy the plastic straws from restaurants. She would like to see the local art students use these straws to create sculptures and other art which could then be auctioned to raise money to support the arts program at the school. Rita says that the “Go Strawless” campaign is spreading beyond Ocracoke. The Ocracoke Observer has sponsored the campaign by printing fliers that have been distributed to restaurants throughout the Outer Banks. Natalie Wayne, the Cooperative Extension Agent for Hyde and Tyrrell Counties, learned about the campaign when she was here for the S.T.E.A.M. (science) Fair at Ocracoke School and has taken the “Go Strawless” campaign to the mainland. Eventually the “Go Strawless” campaign would like to encourage businesses to get rid of styrofoam to-go containers and they would like to lobby for the NC Legislature to reinstate the plastic bag ban that was repealed last fall. She has high hopes for the campaign. With the popularity of ecotourism on the rise throughout the world, “Wouldn’t it be great,” says Rita, “If Ocracoke could become known as an eco-friendly vacation destination?” Until that day, take a small step by “Going Strawless!"